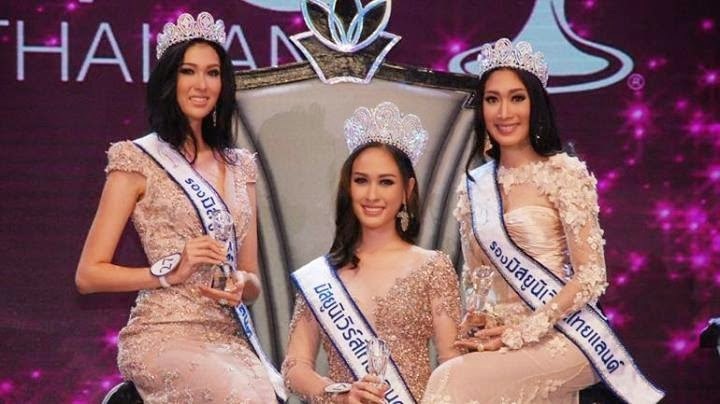 BANGKOK, Thailand - Weluree Ditsayabut (22, 1.70m) was crowned Miss Universe Thailand 2014 at the Royal Paragon Hall in Bangkok on May 17. Pimbongkod Chankaew (19, 1.85m) and Sunannipar Kritsanasuwan finished in second and third place, respectively. Chankaew will represent Thailand in Miss Universe 2014 after the winner resigned from her title.